After several stunning shots of olden times New York City (including a clearly CGIed trolley), the main character, a surgeon, shoots up some sort of drug before performing a c-section on a woman whose hair, eyebrows, and makeup miraculously traveled forward in time to the twenty-first century. There’s fake blood, even faker guts, a fake Toys-R-Us-style baby, and The Knick has already lost my respect and maybe my attention. 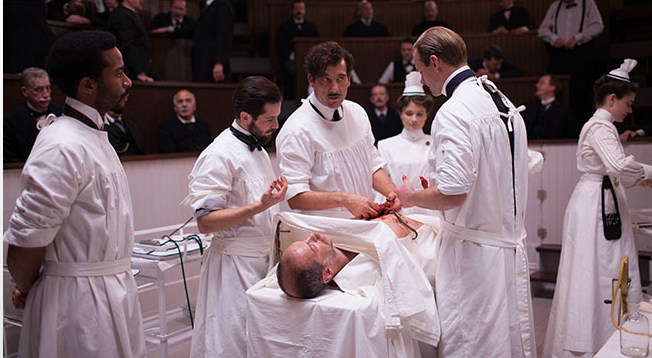 This entry was posted in Reviews, The Knick by misslinda. Bookmark the permalink.